Especially great sales and finance. Ardit made shopping a pleasure from beginning to the end. He explained everything in detail and was very patient. Was a pleasure working with him. Gary Turco is a gem! Although Ardit did all the leg work Gary was there all the time, Words cannot explain how much my wife and I treasure him. I have purchased several cars from this dealership. Paul was very helpful and professional. Very knowledgeable. It was a pleasure to deal with this dealership, especially with Paul. Tom Chen is a superb salesperson. He is extremely knowledgeable and patient. All options were explained to me and I was able to make a decision that was perfect for me. i would recommend Tom to anyone interested in leasing or purchasing from Mercedes White Plains. I'm very happy with the car that I got from you. The person who helped me was Amir Jakupi. He took care of everything and helped me get a nice deal. I'm very happy with the overall service. It was nice doing business with you. 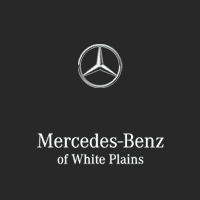 Here at Mercedes-Benz of White Plains, we truly treat our customers like they are the most important people in the building, because that’s exactly what they are to us. We welcome all those from Westchester, NY. Whether you are coming from White Plains, Ardsley, Armonk, Briarcliff Manor, Dobbs Ferry, Elmsford, Hartsdale, Hawthorne, Irvington, Pleasantville, Purchase, Scarsdale, Tarrytown, Thornwood, Valhalla, Hastings, Tuckahoe, Yonkers or elsewhere we are here for you. In addition to our knowledgeable and affable staff, you can also enjoy many customer amenities such as complimentary pickup and delivery for service appointments, large Mercedes-Benz loaner fleet, comfortable customer lounge and courtesy shuttle. Whatever Mercedes-Benz model you happen to be looking for, we can provide it. Perhaps you desire the C-Class small luxury sedan, with its meticulous construction and engineering, refined ride and handling, powerful engine options and elegant interior. How about the midsize E-Class, with its wide range of body styles, exquisite ride and advanced safety features? If you desire a versatile, spacious and highly-capable luxury SUV, we encourage you to check out the GLE. We also offer the Mercedes-Benz Sprinter van, with its impressive utility and high-level craftsmanship. If our new Mercedes-Benz vehicles are beyond your current budget, not to worry. We have a large stock of pre-owned cars at Mercedes-Benz of White Plains. We can work within any desired price range, especially with all of the fantastic specials that we’ve always got going on at our dealership. Also, many of our used cars are Certified Pre-Owned Vehicles. In addition to the assurance of a painstaking certification process and 24-hour Roadside Assistance, every one of our Certified Pre-Owned Mercedes-Benz vehicles come with industry-leading coverage: an unlimited-mileage warranty for one year that can be extended for up to two additional years. When it comes time to get your car serviced or repaired, you can count on our Mercedes-Benz factory-trained Certified and Master Certified Technicians to get the job done. We’ll take care of everything from regular maintenance to repairs and parts replacements. We never cut corners on quality. We only use Genuine Mercedes-Benz OEM Parts. Whether you have a new Mercedes-Benz or one that has years and many miles of wear and tear, we’ll make sure it’s in tip-top condition. Additionally, we offer complimentary pickup and delivery for service appointments, as well as a large Mercedes-Benz loaner fleet. Be sure to check our pocket-book friendly monthly service specials! Whether you want to get behind the wheel of one of our luxurious new or pre-owned Mercedes-Benz models, need to have your car serviced or want to buy some parts, we’re confident you’ll enjoy our award-winning customer service at Mercedes-Benz of White Plains.